Are you excited about your next visit to Lanzarote? Taking time off to enjoy this sunny location is only fun to some travelers if the area includes something for the kids to enjoy. 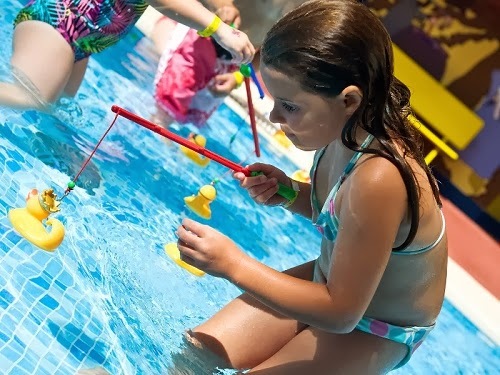 If you have been searching for the perfect activities for family and children in Lanzarote, stay tuned. There are a variety of excellent choices that will give your kids the memories of a lifetime. Before you start your next big adventure in Lanzarote, consider the heat. For example, you will want to make sure that the children have ample sun coverage during the sunniest parts of the day. With this in mind, each suggestion listed in this article gives a little bit of detail about whether the location provides sun coverage. When in doubt, bring an umbrella, sunscreen, or a folding shade tent. When you travel with kids, they can soon become restless. Instead of spending another day at the beach, take them on an adventure at Go Karting. Located in San Bartolome, this may be one of the kids’ favorite spots in Lanzarote. While there may not be very much shade on the track, there is a café area for the kids to get some respite from the sun. One of the most interesting things about visiting Lanzarote is the unique landscape due to volcanic activity. In fact, these volcanoes created the Canary Islands. Children will marvel at the huge red craters and other natural formations. However, one of the main points of fascination at Timanfaya National Park is the steam that shoots up out of the ground. Unfortunately, there is very little shade from the sun at Timanfaya Park. Although it appears to be a regular hotel, Jameos Del Agua is a cave filled with mystery. Kids will marvel at the unique architecture of the area, but there is one surprise they will not be expecting. That interesting wildlife that they will always remember is the famous albino crabs that live in this aquifer. Ideal for older children, this distinctive museum contains several types of local plants and cacti. While it might not be the best location for small children because of the prickly nature of the plants, older children will adore getting their pictures taken next to these strange plants. Although there is an indoor area, most of the Casa-Museo Cesar Manrique is outdoors. When you have very small children, it can be difficult to expose them to several hours of UV rays on a sunny beach. If your children love water and need to take a break from the sun, there are two ways to do it. The first is an underwater escapade with Submarine Safaris SL. The second is the highly rated Lanzarote Aquarium. Finally, if the kids want to hang out at the beach despite your warnings about skin damage, a good compromise is the partially covered Aqualava Waterpark.